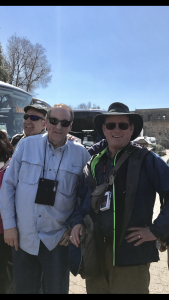 We met this good man in Israel today and he took some with us. Gov. Mike Huckabee does much to help steer our country in ways of morality and conservatism. We thanked him for all the good work that he does for our country – and to keep up the good work. We all applauded him.